The Foundation for Prader-Willi Research is dedicated to fostering and supporting research that will advance the understanding and treatment of PWS. Since 2003, FPWR has awarded more than 130 research grants, totaling more than $9 million in support, through a competitive grant process. This reliable and consistent source of private research funding has energized the field of Prader-Willi syndrome research. 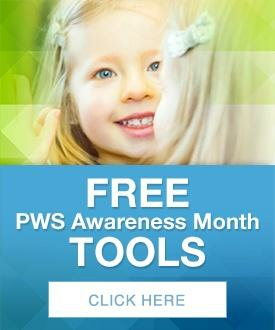 By funding innovative studies, working with established and respected PWS researchers, and bringing new and promising researchers into the field, we are working to advance new avenues of research, generate needed research resources, develop novel therapies, and positively impact the lives of all individuals with PWS. The Foundation for Prader-Willi Research has a professionally managed grant process that selects projects based on the collaborative input of both scientists and parent advocates. FPWR chooses projects that are both scientifically sound and highly relevant for individuals with Prader-Willi syndrome and their families. For more information on applying for research grants through FPWR, click here. To see current and previously funded projects, click here.